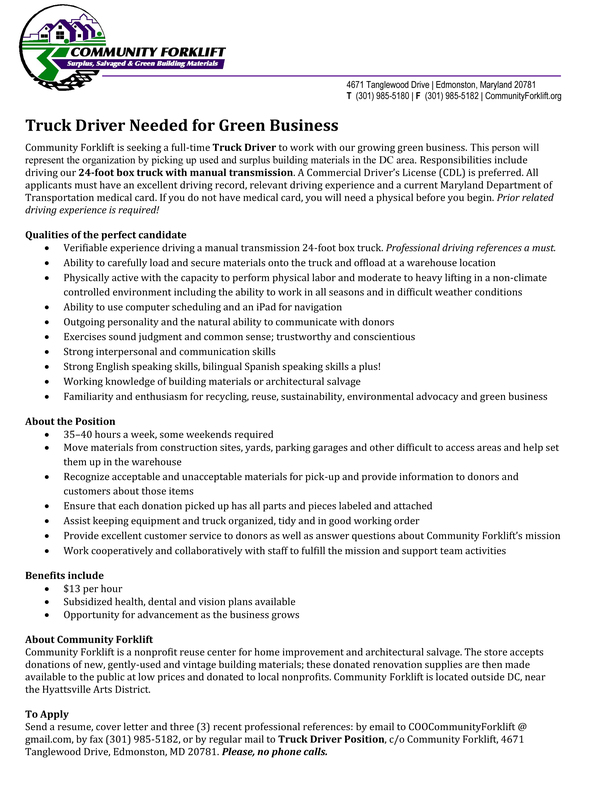 Community Forklift is seeking a full-time Truck Driver to work with our growing green business. 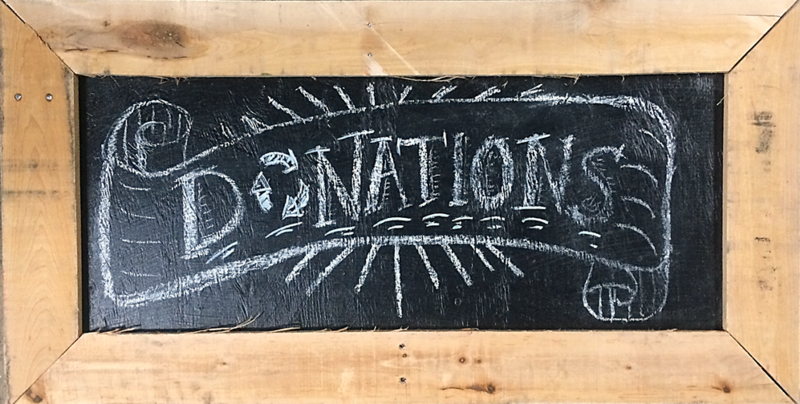 This person will represent the organization by picking up used and surplus building materials in the DC area. Responsibilities include driving our 24-foot box truck with manual transmission. A Commercial Driver’s License (CDL) is preferred. All applicants must have an excellent driving record, relevant driving experience and a current Maryland Department of Transportation medical card. If you do not have medical card, you will need a physical before you begin. Prior related driving experience is required! For more info and other available positions, please see our website.